For many of the volunteers who come to garden at Martineau Gardens, gardening isn’t just a hobby, it’s a therapy that provides new ways to deal with their problems. Volunteers garden together – they receive support from a trained staff member and enjoy the benefits of socialising with a supportive group, whilst acquiring new skills in gardening and increasing self-confidence. 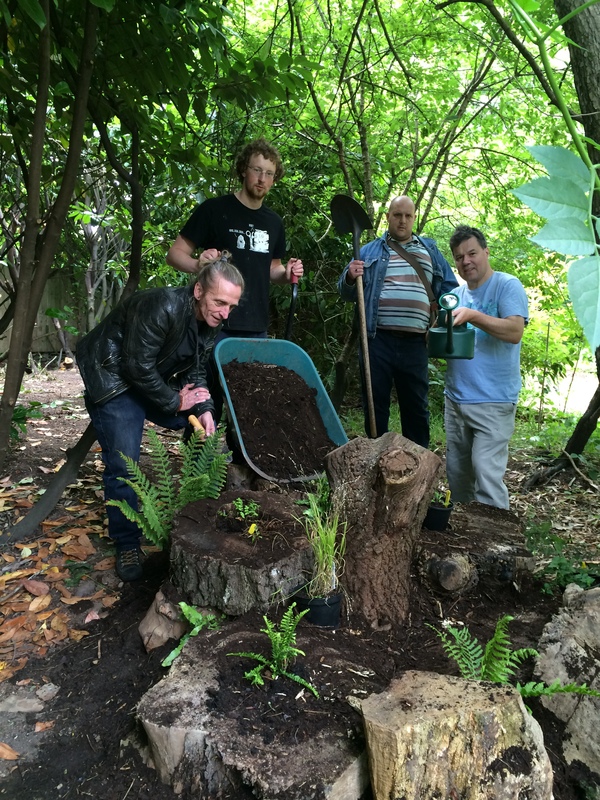 Therapeutic Horticulture at Martineau Gardens promotes social inclusion, health and well being for all. Our Therapeutic Horticulturalist is Stewart Holmes who leads and supports our gardening team Mondays to Thursdays; Miranda Kingston works with young people from special schools one day a week and runs a ‘Working with Women’ group on Fridays. 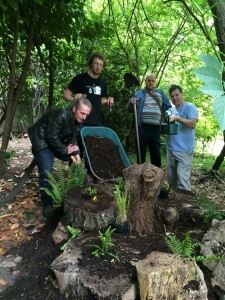 Our volunteers (some of whom have mental health issues and learning disabilities) look after the two and half acre community garden – the therapeutic horticulture programme runs throughout the year, which means that there’s a huge variety of tasks on offer within the varied landscape of Martineau Gardens. There are demonstration vegetable beds, an orchard, herbaceous borders, a formal garden, an alpine garden, woodland, wildlife areas, ponds, lawns, hot houses, plant sales and a shipwreck play area. The Gardens stay open throughout the year for the public to visit. From seed sowing and cuttings to pruning, harvesting and composting , the Garden Volunteers are always busy.